Over 9,900 rental housing jobs were available during October, representing 37 percent of the broader real estate sector. 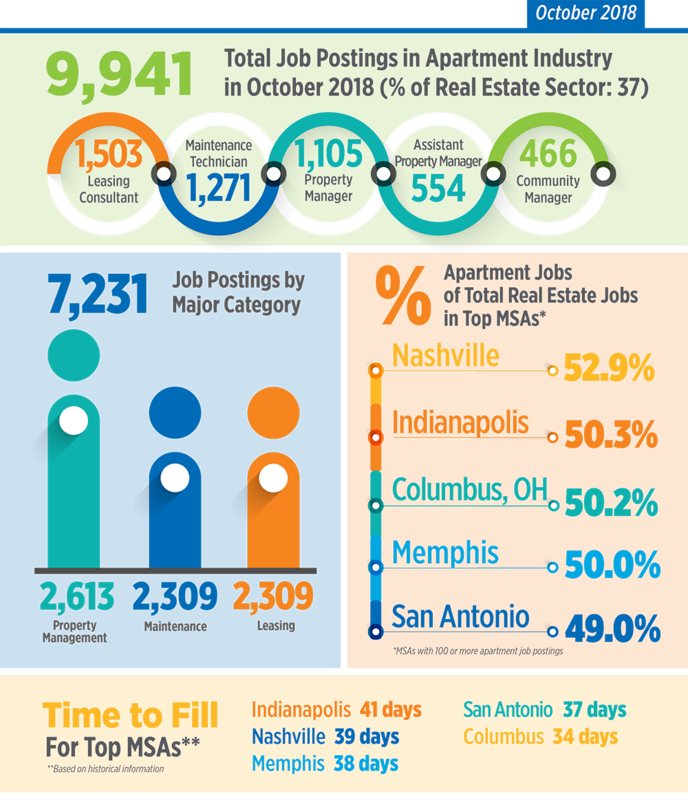 For the first time this year, Indianapolis and Memphis appeared in the top five metro areas for apartment job demand. In the spotlight this month are property/community managers. 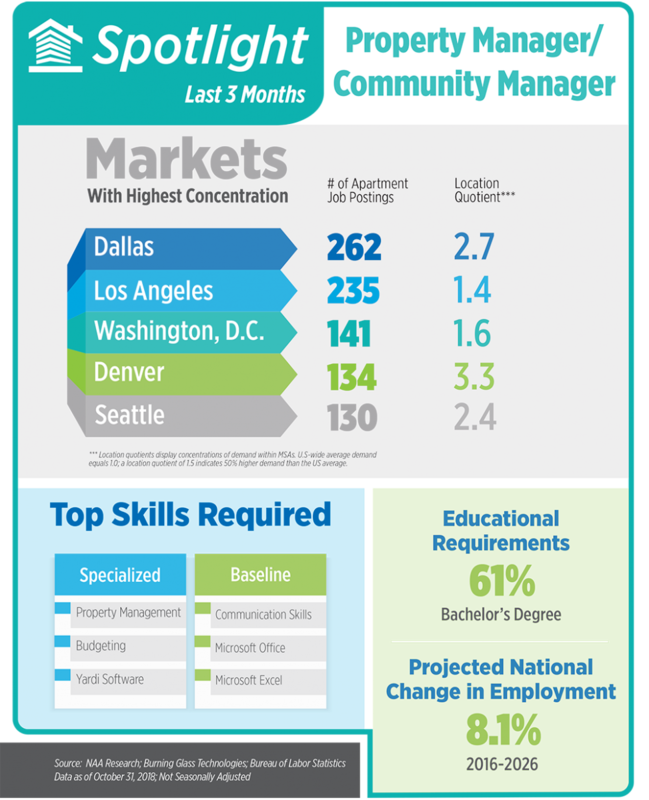 While Dallas had the greatest number of jobs available, Denver’s demand for property managers was more than three times greater than the U.S. average. Read on for more.